For the audiobook click here. An inspiring spiritual journey of triumph! Sue Maisano was born Xu Liu to a poor farming family in China. Her destiny was to follow in the footsteps of her ancestors. At a young age, a spark lit in Sue to dream big and reach for goals others said were impossible to obtain. How did she do it? 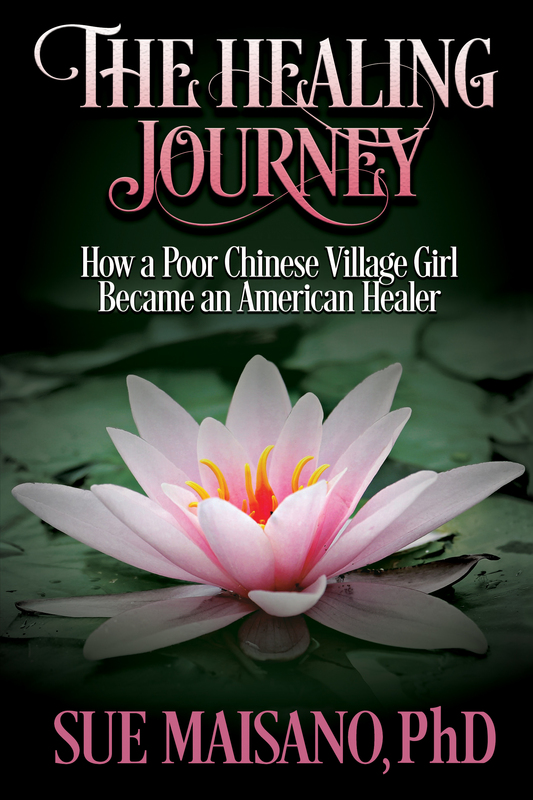 In The Healing Journey, Sue Maisano tells her heartfelt story of her rise from poverty and obscurity in a Chinese village to fulfillment and success in America, reaching all of her goals of education, marriage, family, and a thriving healing practice. Now she shares her secrets of how she realized her dreams by following her intuition and spiritual guidance, and spiritual laws that work for everyone. Sue Maisano is a skilled and compassionate teacher. She deftly illustrates how the same spiritual laws and guidance can work for you in the pursuit of your dreams. Share her journey now to achieve your own success and happiness!